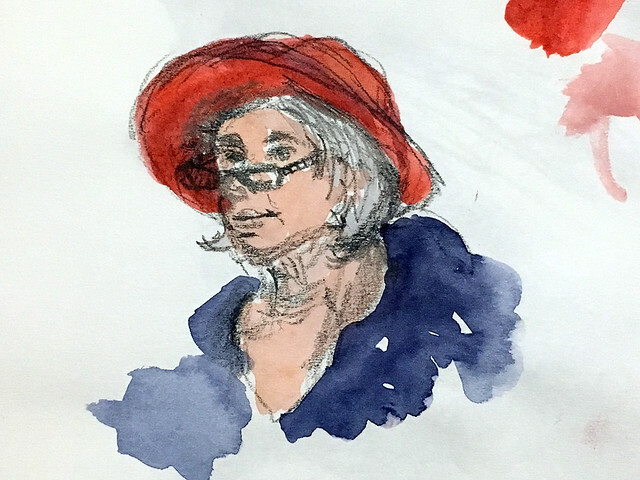 Yesterday I participated in a meetup for Julia Kay's Portrait Party at ARCH Art and Drafting Supply in San Francisco. We sat in circles of 5-6 people, and everyone took turns playing model. 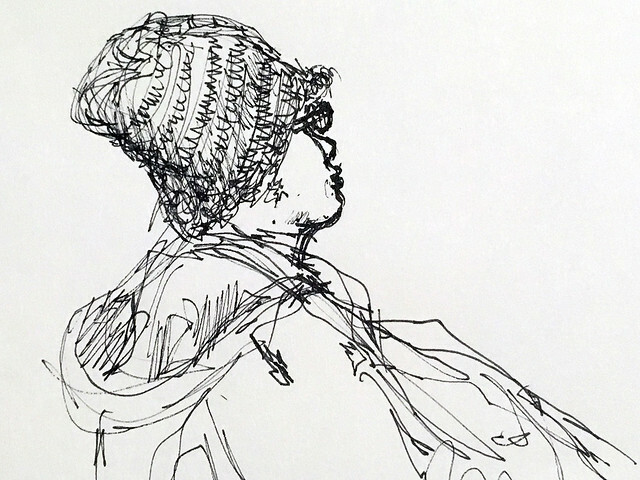 We warmed up with 30-second sketches using our non-dominant hand and progressed to 10-minute captures. 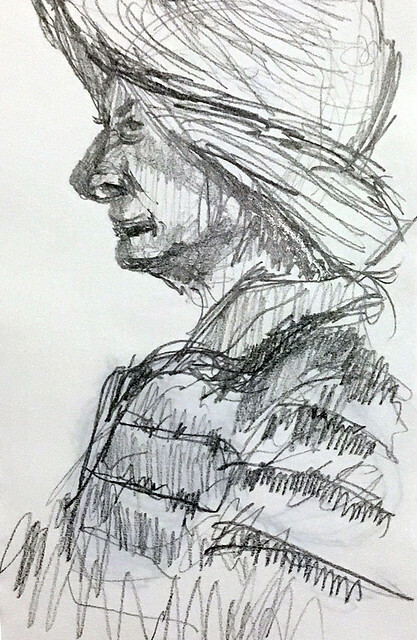 Here are a few of my sketches from the session. I see you are continuing with people. I love the one of the lady with the red hat. Thanks! 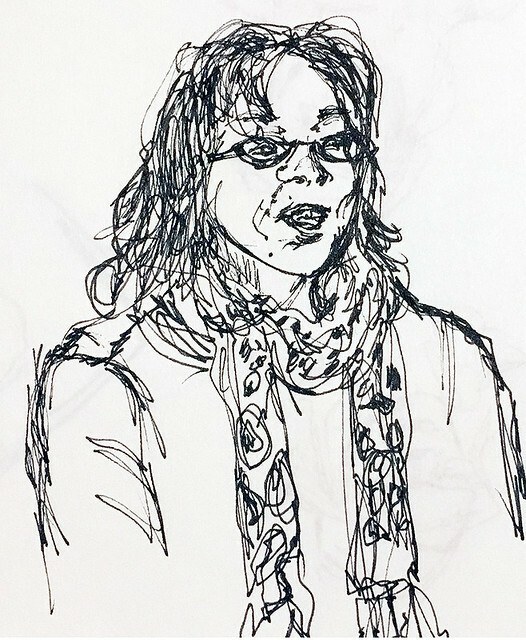 Yes, coincidentally we had a JKPP event the day after the challenge ended. I think I'm going to press pause on people for a while now though!